Camping is one of every family’s favorite memories, whether it’s at an actual campsite or in the comfort of your own backyard. Your children will be absolutely delighted when they see that they will soon have their very own tent. 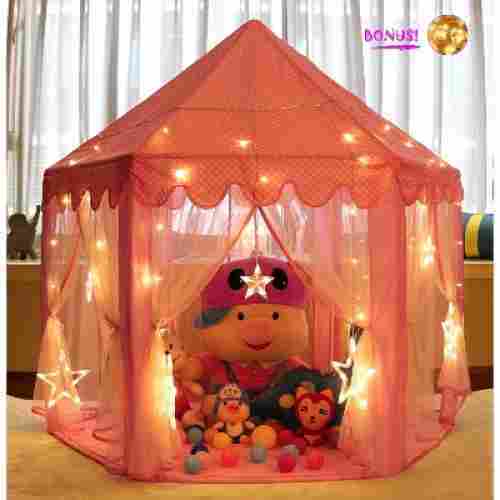 Children love playing in tents because they can make it their own secret hideaways. Sometimes they can entertain themselves, or, they might even let you join them which will create a unique bonding time and memories to last a lifetime. 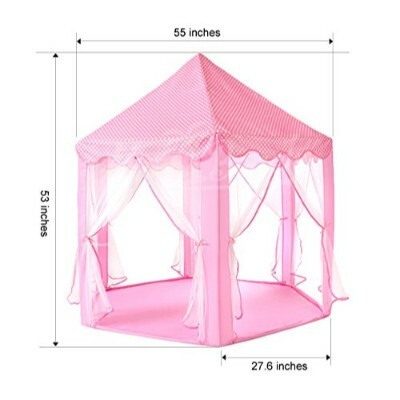 Tent sets can come in a variety of colors, which is even more attractive to children, because they can choose their favorite. Depending on the size of your family, you can even choose between a large or a small one, there’s space for everyone! We updated this product list from 11 to 10. 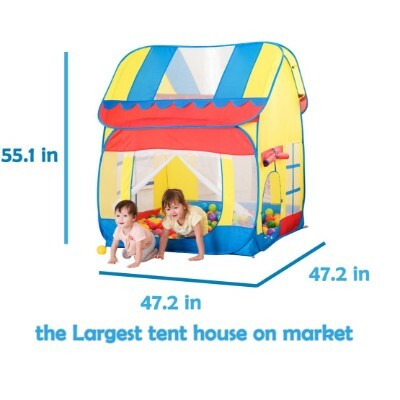 We added a bit more information with these tents about why they are so beneficial to your child's developmental skills and how much they will love having one of these items. We also switched to a more user friendly format. There is a ton of room in this tent for kids to play in, take in their furniture, and their stuff. Several enthusiastic children can play inside at once. 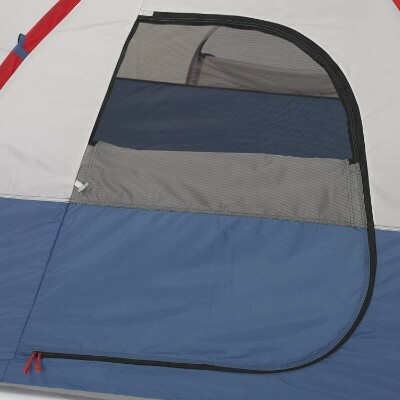 The doors on each side roll up just like on a real tent and can be secured with velcro. 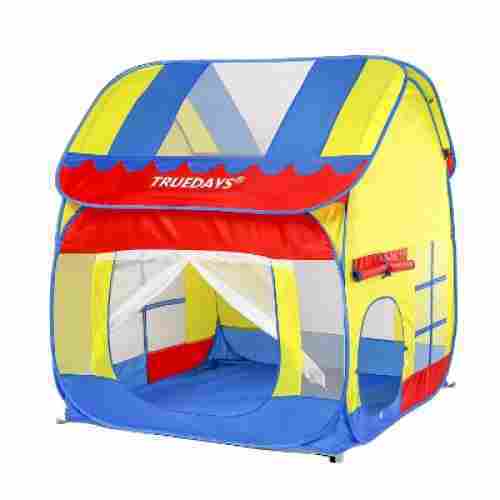 These play tents are structured so that there is a peaked roof, and it looks like a house. This house looks like a kid's clubhouse and is marked ‘Private.' One side of the structure has a tunnel port that connects with other Pacific Play products. Kids get tons of fun from this, and you will get some peace and quiet. Setting the tent up is super easy as the poles are color coded. Once the poles are set up, simply put the lightweight fabric up and over the roof and pull down. 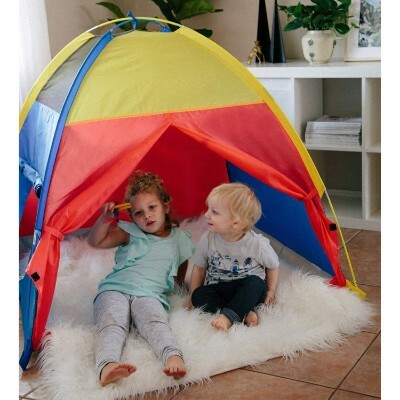 With this excellent play tent, your kids will be able to play together and learn necessary communication skills while engaging in games with other kids or their siblings. There are so many instances in which children can learn how to be imaginative and creative. A child's visual acuity can be enhanced, and his fine motor skills and eye-hand coordination will be well practiced. As a parent, you can get alone time with your kids and strengthen your bond by playing with them, reading, or working on a project together. And you can get some kids furniture inside easily. Blastoff! Whether you’re indoors, outdoors, at home, at the park, or in the classroom, this USA Toyz Rocket Ship Play Tent brings whole worlds of fun. With a wide door and mesh windows, you won’t have to worry about it getting stuffy; ventilation happens easily and naturally. The tent is portable and comes with its own tote as well as a projector. No tools are required for assembly, and cleaning instructions are as simple as wiping with a damp cloth and mild soap. 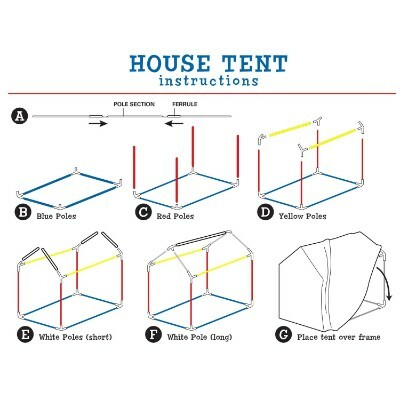 To assemble, simply pop open the tent and slide in the durable poles. No fiberglass means no flimsy, floppy tents falling down on little heads. Children love crawling around in tents and play structures. This special rocket themed tent will have them excited to explore the final frontier we know as space. Lie on your backs inside the tent and aim the projector at the ceiling or tent walls to view over twenty-four space-themed images. This is a tent truly deserving of royalty. Six-sided and with wide open walls and adjustable curtains, this tower is as breezy as the fair folk that inhabits it. 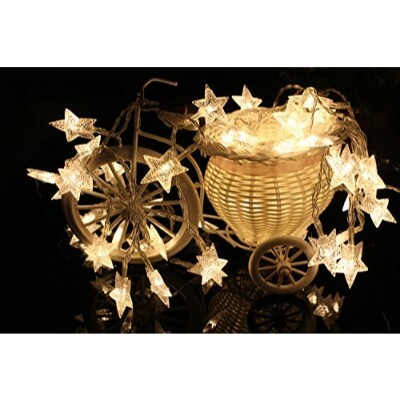 Little star lights hang from the inside, lighting up the structure in an ethereal glow. Gauzy curtains tie off at the six structural points of the tent. 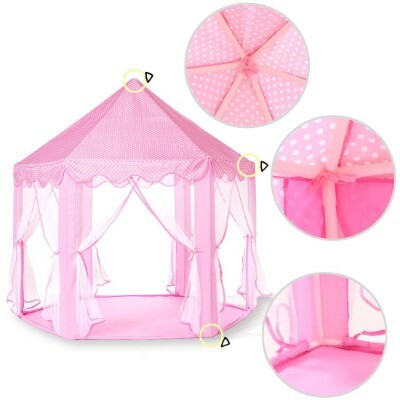 A tall roof and soft pink floor make it roomy and cozy; perfectly comfortable for your princess and all of her friends. Made from high-quality polyester taffeta, this tent is durable and easy to clean. 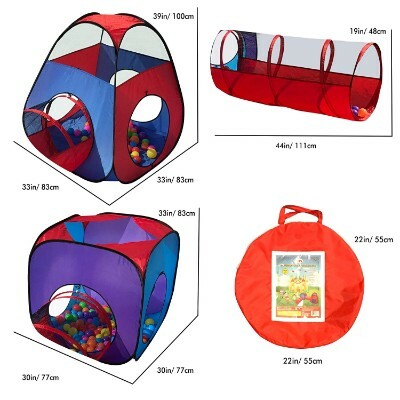 The tent is suitable for indoor and outdoor play. The drawn netting will help keep bugs out but do remember to return the tent inside if you’re in especially wet seasons or extreme climates. The tent comes with its own carrying bag as well as a set of instructions to provide easy assembly. 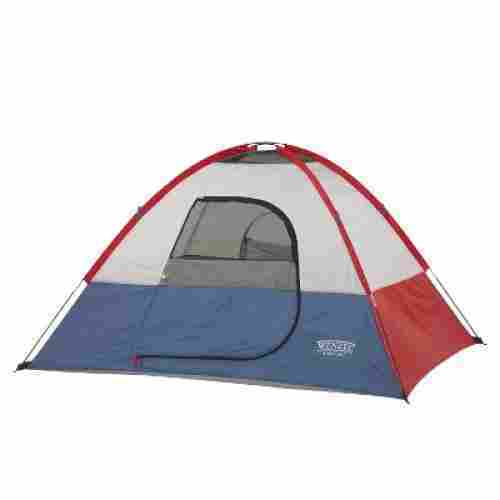 PVC support rods hold this tent up, and the company includes extra parts in case the originals get lost or damaged. This cozy little nook would inspire anyone to curl up with their favorite fairy tales inside and read the night away. Give your child a special, private place to read and engage in imaginative play. This tower will keep them excited to return to it again and again. This is a real pop up tent, suitable for a camping trip. With the Wenzel Sprout dome tent, kids can have one just like Mom and Dad’s (and learn how the pole set-up works, too). It’s big enough to accommodate several kids, two adults, or a combination of kids and adult. 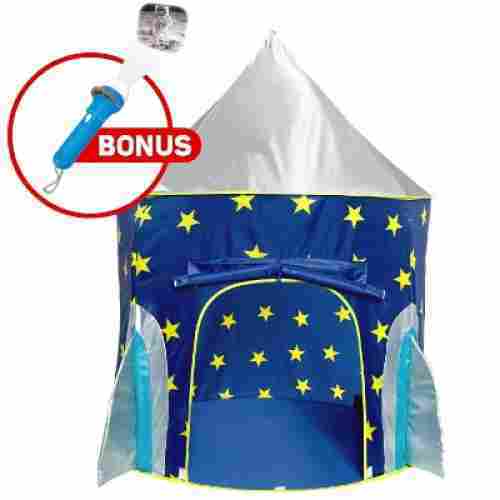 Its also a great introductory tent for kids who want their own private quarters when camping. Weighing in at 4.3 pounds, this tent is lightweight enough to carry from location to location. 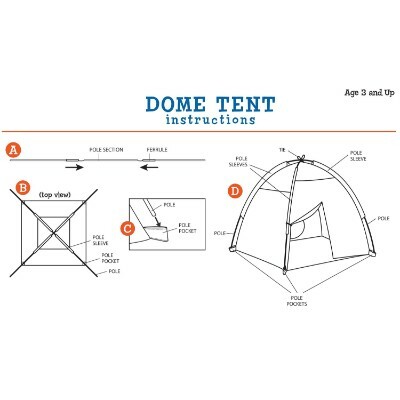 The easy to understand instruction manual makes setting this tent up stress-free. They can pretend to camp in the house, learn to set up the tent, or just imagine an outdoor adventure in the woods or even the backyard. What joy you will feel when you watch your child play happily inside his tent. We bet that you will feel total contentment when he is comfortable as well. There are so many learning opportunities here that your child's growth will be super enhanced. Pacific Play Tents is a reputable company based in California. 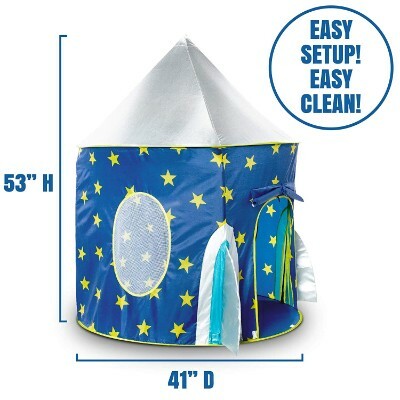 They come out with new designs, but this domed tent remains a parent favorite as evidenced by the many great reviews. The one stand-out feature of this pup tent look-alike is the see-through area in the top of the tent that allows parents to keep an eye on their kids without being intrusive. This is a much bigger tent than many of the others that are out there, and it’s great because it gives a kid some room for furniture and still feels cozy. The bright colors and carry bag make this a winner. There are two entrances, one of which is a tunnel access port, so tunnels and extra tents can be attached to the play hide-out. This kids' tent isn't so little! It can fit an adult if book reading is in order or several children if it's time to play with friends. It can handle creative role-playing like an afternoon tea or putting together a puzzle. It can even hold small furniture pieces for your kids to use for the party. 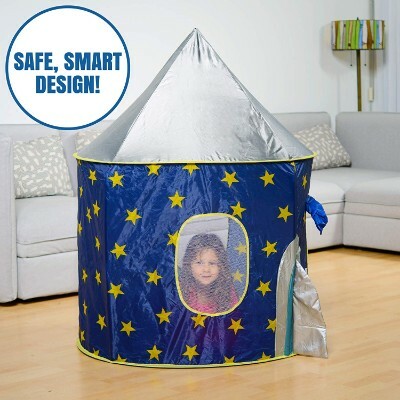 Some kids love their privacy but also want a big space, and this tent is spacious. 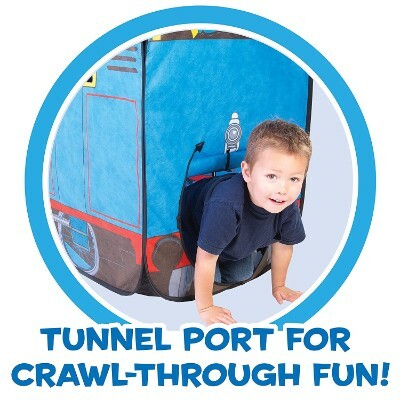 There are two ports for tunnels, and kids love the tunnel tubes. The privacy of these tents is attractive to kids. The screened section allows parents to observe. And you can use this outside, so the panels with the screens keep the bugs out. The bottom is waterproof, and a child would be able to fit some furniture inside, say a cot or a kids chair with a table. Your kids could have so much fun with this that they may disappear inside for hours. These kids' pop up tents are easy to set up and put away. You also get a carrying case. You will love seeing your children having a place to play and relax. They can do both, depending on their mood. And you, the parent, can join them at their tea party or work a puzzle. They can take their e-reader or tablet inside and read or watch a movie. It's a place where your child can do whatever she wants and be guided by you. Or not. Whatever happens, your child will love having a place to go that is her own. 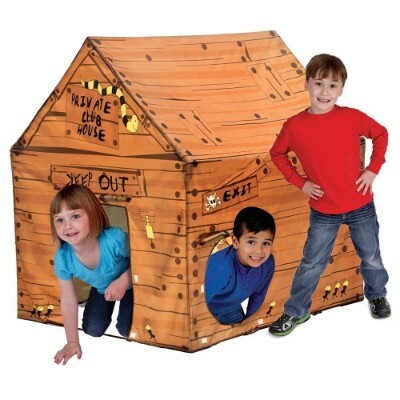 Add some tunnels to this tent and invite friends for a fun party. A sleepover might work as well. All the kids in the neighborhood will want to play in this tent. 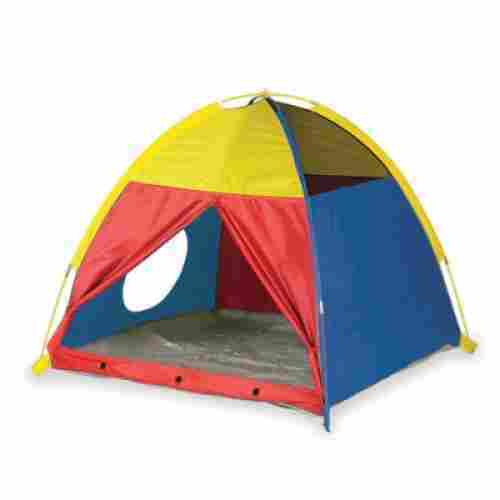 Invite them for a picnic, family gathering, barbeque and allow them to explore this tent indoors or outdoors. 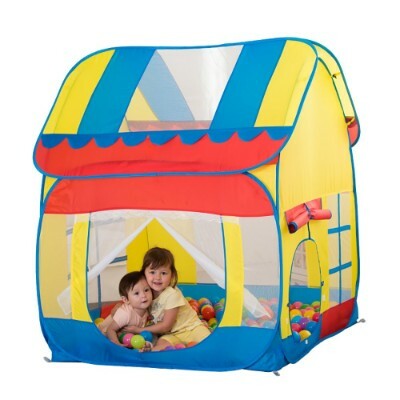 These colorful kids tents come together with the two tunnels as separate pieces, so there are tons of ways to play with this. You can use this playset outdoors or inside. 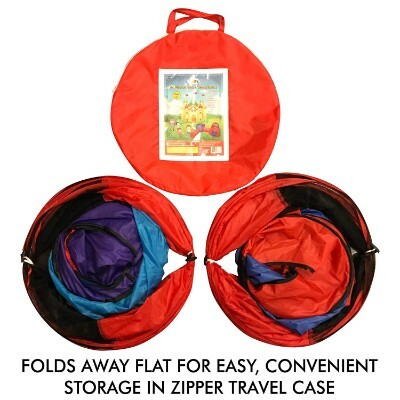 With the package, you get two tents and two tunnels that pop open, and you just tie them together. There are loops on the bottom so you can stake the tent to the ground. Your kids will have great fun in just about any setting with the tent tunnels. 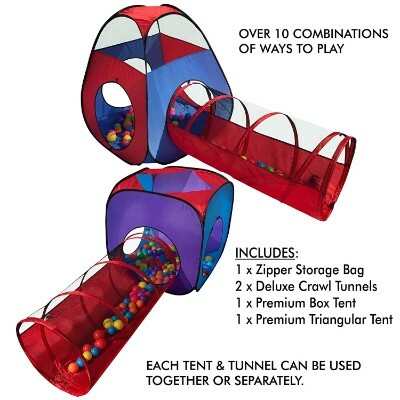 There are many fun activities that are just right for these tents and tunnels. They can be put together in about ten different ways. Kids can get lots of exercise going through the tunnels, enhancing motor development and hand-eye coordination. Tents can help kids learn to plan ahead and make decisions as they go in and out, raising their sense of logic and thinking ability. The kids will be having so much fun they won't even know they are learning. 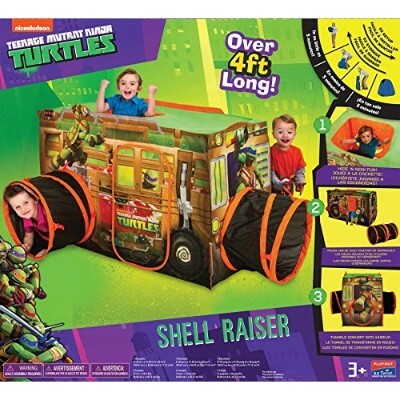 Every kid's favorite turtles can now pop up in their Shell Raiser. 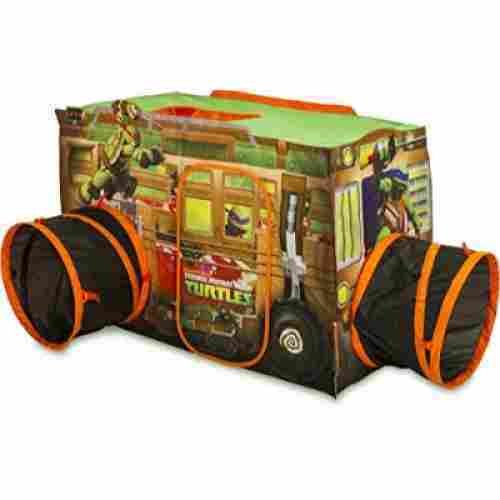 If your child loves the turtles, he'll love this private space inside the turtles' vehicle. The tent is flame resistant for safety's sake. The vehicle tent pops up right out of the box and has two tunnel ports for easy ins and outs. Tents are popular now for kids to have their own space where they can gather with their friends and quietly imagine where they may go. The tents provide ways to learn how to communicate with people, engage in physical activity, and learn how to think in creative and logical ways. They can problem solve, practice reading, practice math on tablets, or work on brain teasers. They get help learning, but they don't know that! 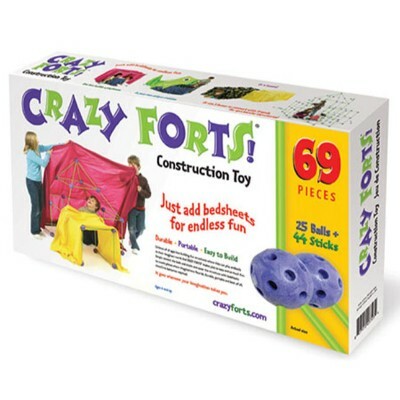 Forts are a form of delightful, laugh and squeal-worthy, fun for kids in quite a wide age range. Design the balls and sticks into a shape that you like, then use a sheet or light blanket from home to finish it. And then you have a fort. 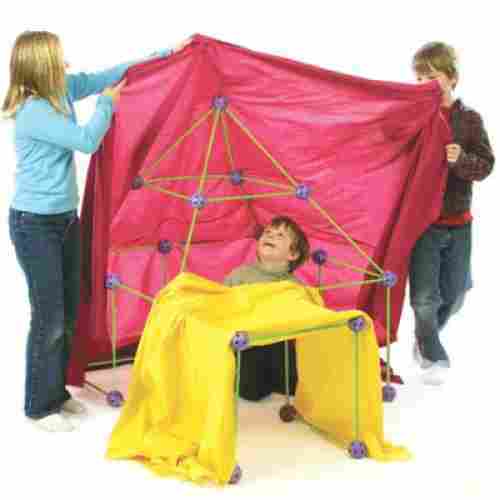 Get more than one set of this toy, and you can expand the play tents so that a couple of kids can fit inside. For toddlers, this will have to be set up by parents, but older kids who have strength and dexterity can build these on their own. Your child will be able to learn to build objects with this exciting toy, and to combine materials to make something new. But inside their new fort, kids can play by themselves, role-playing, having tea parties, and taking care of their dolls. They'll have a safe place to play. 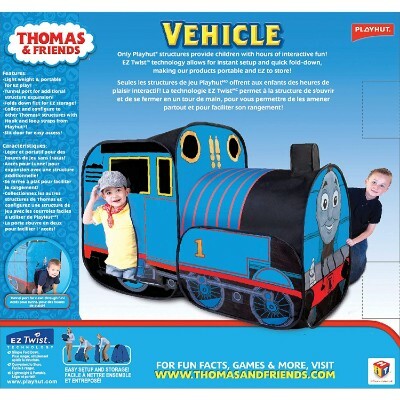 Straight from the Island of Sodor, the Thomas the Train Play Vehicle is something that children who have been following the exploits of the most famous tank engine will surely appreciate. The Thomas measures 52 inches long, 26 inches wide, and 38 inches high. 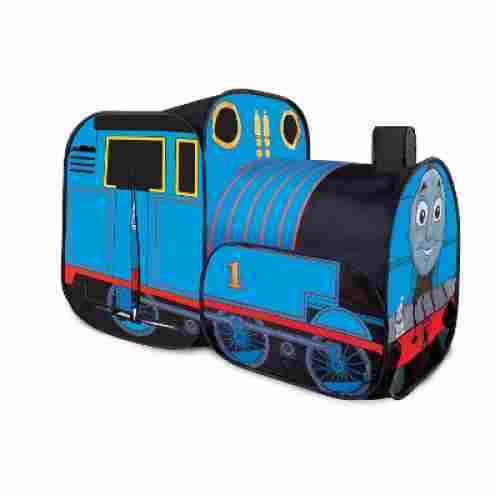 With Thomas’s loveable face gracing the front of this pop-up train car, kids will feel like it’s their storybook friend brought to life. 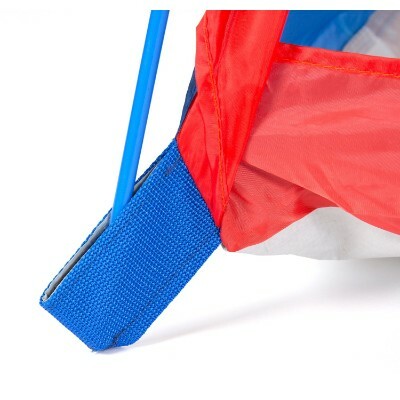 What sets this kiddie tent apart is that there are no poles nor sticks and pegs nor any components that need to be installed first. It’s as easy as taking it out of its carrying bag, twist it open, and it pops right up. 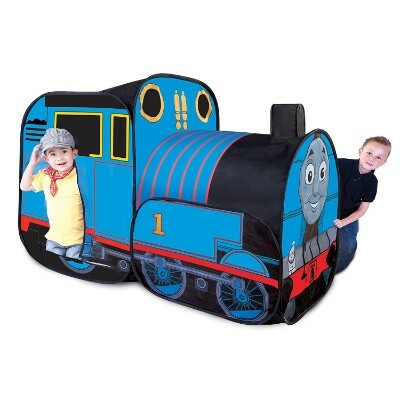 The Thomas the Train features an ingenious EZ twist mechanism that allows for easy deployment. Best of all, it can be connected to other similar structures of the same line to create a network of tunnels for kids to crawl into. Invite some kid friends to hop aboard (there’s room for up to four) and playtime will chug right along. They will appreciate not only the details of the wheels and windows, but also the opportunity to practice their conductor skills in a more realistic way. Choo-choo! All aboard! Parents also have to consider how many children will be able to fit in the tent and what’s considered age appropriate. If you’re in the market for a camping tent, obviously you’re going to want to look at something that will make everyone sleep comfortably. Parents will also want to consider the ages and sizes of the children who will be in the tent as well for both camping or just play tents as some could be smaller than others. While some kids like cozy little spaces where they can curl up for story time, others prefer some space and a little less claustrophobic feel. The three most common materials used by tent manufacturers are nylon, polyester, and polyethylene. Nylon: Nylon is a general term used to denote a synthetic polymer group based on two different types of polyamides. Although some of its properties can vary depending on how it is manufactured, in general, nylon is a thermoplastic material known for its resiliency, elasticity, luster, and oil- and moisture-resistant properties. While nylon can provide shade from the sun, it does not protect against UV radiation. It is easily washed and dried and lighter/more breathable than polyester. Polyester: Polyester is the type of material that results when a carboxylic acid reacts with alcohol and forms chains of esters. It comes in different forms and combinations (e.g., polyester taffeta--one of the most popular combos used by tent manufacturers) and is used to make everything from clothes to canoes because of its wrinkle-, mildew-, water-, chemical-, and stretch-resistant qualities. While the polyester fabric is quite strong and stain-resistant, it is also easy to clean and quick to dry. Polyester is commonly used for outdoor camping tents because of its durability and UV-resistant properties. Polyethylene: If you use shampoo bottles and plastic grocery bags, then you are already familiar with polyethylene. It is perhaps the most widely used thermoplastic polymer because of its versatility, waxy feel, and malleability. However, it is less durable than polyester. Keep in mind that these fabrics are often blended with other fibers and woven in different ways to make a final product that is ideal for its intended purpose. 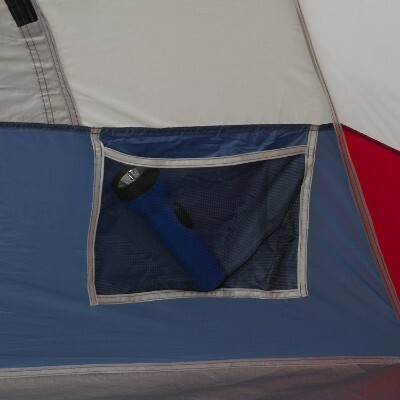 Most tent manufacturers advertise the type of materials they use in their products and whether or not they are waterproof; however if they don’t, do some research and consider how important qualities such as lightness, stain-resistance, flame-resistance, and waterproof are to you. But be sure to read the fine print: water-resistant is not waterproof and UV-resistant does not provide 100 percent protection from the sun. Even if a manufacturer does claim that their tent provides UV protection, remember that if a tent is left in the sun for long periods, its sun-protective capabilities will lessen over time. Visible fading is a good indicator of this. In the end, slathering the kids with sunscreen before they indulge in hours of sunshine outdoors--tent or no tent--is still the best measure to take to prevent sunburn. When choosing the right tent for your child’s playtime activities or camping adventures, we know it can be very challenging for parents. We tasked our research team to come up with a shortlist of the top 10 kiddie portable tents that your children will love. After careful analysis, trolling through thousands of reviews, ratings, and product data, we came up with our top 10 list. 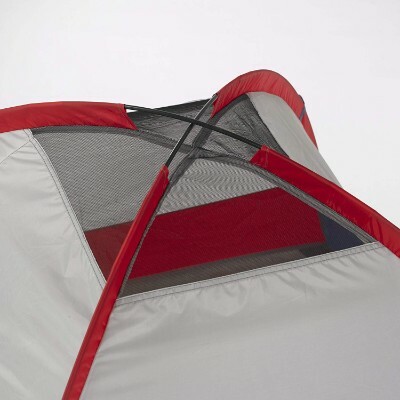 We looked at the overall design of the tent and made sure that the product would be used by children. We also took into account how easily the tent could be transported and set up. Kiddie tents are usually used by children as props or accessories in their imaginative, dramatic, or pretend playtime activities. Depending on the objective of the game, children can surely benefit a lot from these kinds of playtime accessories or props. First is the development or enhancement of children’s psychomotor skills. A kiddie tent provides enough covered area for playing. Children can crawl into their tent or even jump onto it. If they are old enough, they can assemble the tent themselves without additional parental support. All of these require excellent control of the muscles. 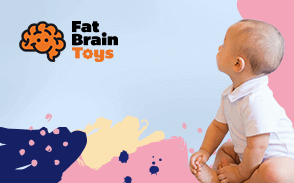 It helps refine their control of gross- and fine-motor movements while at the same time enhancing their sense of visual-motor coordination and balance. Tying some of the knots in certain kids' tents can help enhance manual dexterity. Secondly, being important tools for imaginative or pretend play, children's teepees can be excellent materials for enhancing children’s cognitive abilities. When children are given a large house-like structure made of canvas to play with, their imagination is greatly stimulated. They are able to harness other cognitive skills such as problem-solving, memory, cause-and-effect relationships, spatial reasoning, and counterfactual reasoning. Imagination requires input from the kid’s memory, the things he or she may have learned either through experience or from school. These pieces of information are processed by the brain to come up with a what-if situation. This is one of the crucial elements of critical thinking and divergent problem-solving. This also helps in the identification of a variety of situations that are directly related to a single phenomenon. It helps foster curiosity which can further fuel the child’s critical-thinking processes. Playing with kiddie tents also help children develop and enhance their planning skills. They have to try to identify the objective of their role play and what the different activities they need to do. This is an essential skill to master as it lays the foundation for scientific problem-solving where a problem is best solved using a set of objectives that are problem-oriented. Looking for solutions to accomplish the objectives will lead to the resolution of the problem. Role-playing allows children to start understanding the concept of careful planning and objective-setting. This is important when they grow up as adults especially when they go into business as well as other endeavors that require planning. Third, imaginative playing with friends helps to encourage cooperation and negotiation. When role-playing, kids eventually have to talk and discuss among themselves who plays which role as well as the different actions that each one has to perform. This helps develop children’s social skills. If they have to use a tent and there are many of them, children learn to take turns and share the different playthings in the playhouse tent. The social interaction obtained from imaginative role-playing activities allow kids to learn empathy and consideration for the feelings of other children. They begin to understand the idea of proper behavior especially when they are in the real world. Fourth, as a natural result of the increased social interaction playing with kiddie tents, children are also able to improve their language and communication skills. Pretend and imaginative play is a wonderful opportunity for children to use their very own vocabulary and language. They are able to use expressive language. Our role as parents is to help expand their vocabulary by paraphrasing what our kids have said during their pretend play. We can do this by using a more descriptive language which our kids will understand or by giving examples using expressive language. Lastly, because children are able to express their thoughts and feelings through role-playing and imaginative playtime activities, we help enhance their self-esteem. We are giving them power and control over their pretend world and this can help enhance their creative abilities. They can create their very own storylines, decide what plots and twists go with their story, and develop the personality of their main character in the story. All of this can help enhance kids’ self-esteem by giving them the power to control their world. And if we show that we also enjoy and truly appreciate what our kids are doing, the more that we enhance their self-esteem. The first tent was known as the Sibley tent and it was invented by the American military officer Henry Hopkins Sibley. Play tents are not only great in homes, but are also highly beneficial in classrooms. Today, with so many screens around, many adults tend to forget the joys of pretend play, imagination or role-playing. We can’t stress how incredibly important it is to let your children use and develop those skills and to just let them be kids. It’s time to put away the screens. Children need these types of different playtime activities because it helps their cognitive, social, emotional, and psychomotor development. When it comes to imaginative or pretend play, one of the most useful accessories or tools, we can give our children is a playtime tent. With our top 10 list, parents can start encouraging their children’s imagination with pretend play and it will be something memorable for everyone in the long end. You won’t go wrong, and your children will surely love you for that. q: What are some different ways younger children can use the tunnel-type tents beside crawling around in? 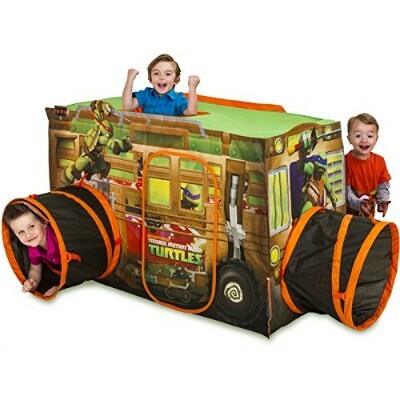 For babies or toddlers, the tunnel can be propped with a pillow and used as a ball ramp; or, it can be used either vertically or horizontally for different versions of peek-a-boo. For older toddlers/preschoolers, you can take each takes one end of the tunnel and pass a ball back and forth by lifting your respective ends to get it rolling. Other ideas include using your tunnel tent as a reading station, either in a shady spot outside or a cozy corner inside. Turn off the lights, add a flashlight, and it becomes a reading cave! 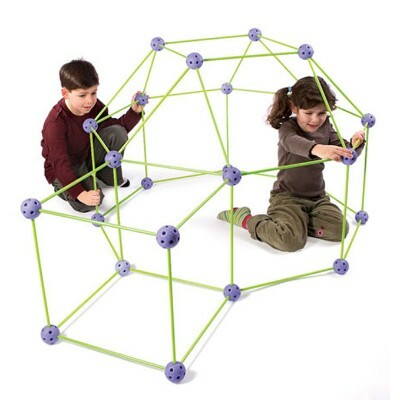 q: Where can I get replacement poles for the Pacific Play Kids Me Too Dome Tent? The company (Pacific Play Tents) is happy to send replacement parts if you follow the correct protocol. 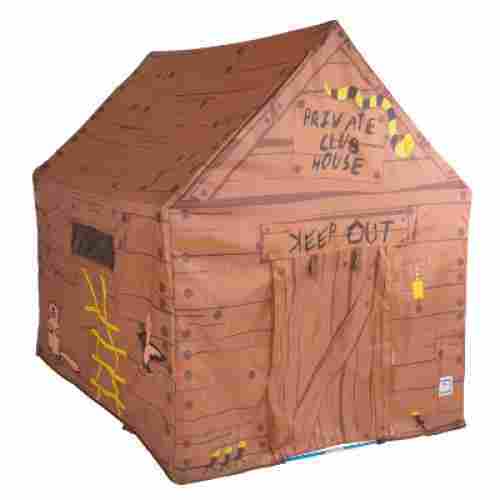 You can contact them at 1-877-722-0083.
q: I lost the instructions for the Truedays Kids Big Tent Playhouse. How do I fold it back into its case? Check out this YouTube video for folding instructions: https://youtu.be/-XZvohPRdtE. q: What is the best way to care for my kids’ play tent? Always avoid leaving it outside in the sun and weather for an extended period of time if used outdoors. Use a handheld vacuum or brush to sweep away dirt and debris from the tunnel or floor of the toddler tent (if applicable), or simply shake it out before collapsing and storing. Avoid scrubbing with water as much as possible, as doing so can remove mildew-, stain-, or water-resistant finishes from the fabric. If heavy cleaning is required, use a mild, detergent-free cleaner (ideally one made specifically for tents), rinse thoroughly, then dry. q: What are the top reasons parents buy play tents for their kids? They provide easy entertainment on the go. They make a unique and wonderful gift for children ages 2 to 12. They give kids something to do at parties and sleepovers. They are simple, yet can be used in so many ways. 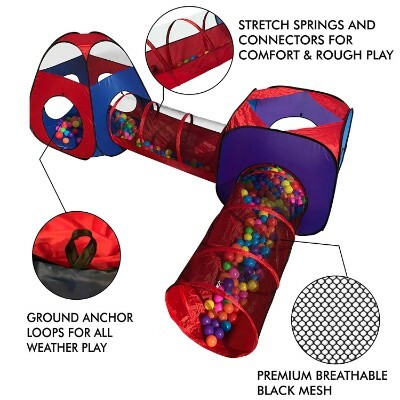 q: Where can I get balls if my kids want to try the ball pit idea with their tent, and how many should I get? Although retailers such as Walmart sometimes have them in stock, we recommend these nontoxic balls for ages 5 and up, or these if babies or toddlers will be using them. Both are available from Amazon and come in packs of 100, which is a good starting number. q: What kinds of toys can kids add to their play-tent experience to get the most out of it? The choices are endless. A few examples are books for reading, puzzle books, jigsaw puzzles, dolls, model horses, dog plushies. The kids can choose anything. The tent gives them a cozy, safe place to do things they enjoy. 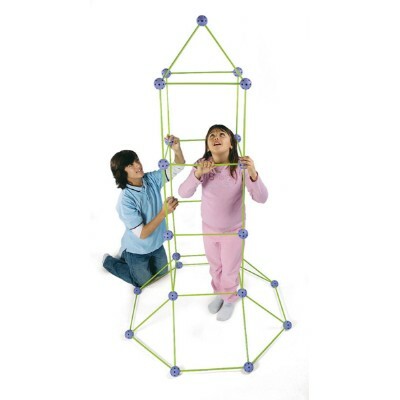 q: How can these play tents help with my child’s growth and development? There are many ways. Here we’ll talk about a few. First, kids are made to play, and that is their job. It helps them learn new skills. 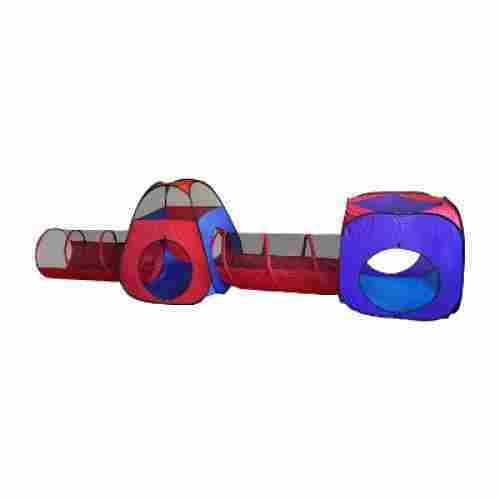 The play tents and tunnels help kids learn about spatial orientation as they learn to put their feet, hands, and head through the holes in the tent. Second, kids’ motor skills are enhanced because they are moving around, crawling through tunnels, So both fine- and gross-motor skills are involved and improved. 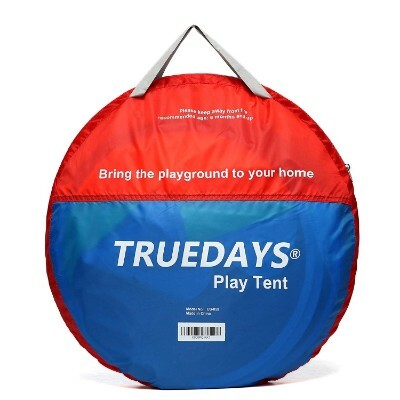 q: Why are the colors so bright on these play tents? In the toddler stages, children have still-developing eyesight. Bright colors are more comfortable than pale colors for them to see at this stage. Bright colors also help little kids to see objects because the bright colors are contrasted against warmer shades, which are harder for them to see. Of course, parents can get involved by teaching their kids the names of the colors so that their child can identify colors by name. And, lastly, kids often associate colors with objects. Thus, they would call their truck “yellow” instead of “truck.” They relate to objects in their world by color. q: Can we use our new play tent outside? 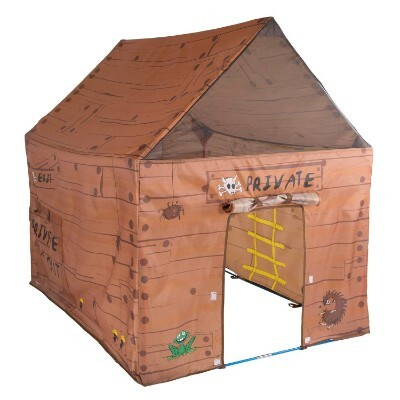 While these are toy tents, many of them can be used outside on a nice day. Some have loops on the bottoms so you can stake them down. If it’s windy outside, these tents can blow away, so indoors would be the place to play in this scenario.